Today’s Wall Street Journal has an interesting news item about a BP Vice President who quit prior to the Deepwater Horizon disaster because he felt BP "was not adequately committed to improving its safety protocols in offshore drilling to the level of its industry peers." The full article is available here. Commissioner Apostolakis was amplifying his discomfort with the inclusion of values along with behaviors in the policy as values are inherently fuzzy, not measurable, and may or may not be a prerequisite to the right behaviors. Perhaps most of all, he believed omitting the reference to core values would not detract from the definition of safety culture. Earlier in the meeting Commissioner Apostolakis had tried to draw out the staff on whether the definition of safety culture needed values in addition to behaviors [at time 2:34:58], and would it be a fatal flaw to omit “core values”. The staff response was illuminating. The justification offered for retaining values was “stakeholder consensus”, and extensive outreach efforts that supported inclusion. (But why was it so important to stakeholders?) The staff went on to clarify: “culture does not lend itself to be inspectable”, but “having values with behaviors is what culture is all about”. Frankly we’re not sure what that means, but we do know that safety culture behaviors are inspectable because they are observable and measurable. Respectfully, we believe at a minimum this will further confuse the NRC’s policy on safety culture, and in all likelihood places emphasis in exactly the wrong place. Is the Chairman agreeing all that matters is what people do? Or is he suggesting that the NRC would find fault with a licensee that was acting consistent with safety but did not manifest the “right” values. And how would the NRC reach such a finding? More fundamentally, isn’t Commissioner Apostolakis correct in his blunt statement - that we [NRC] don’t care why they [licensees] do it? Our prior post highlighted a comment early in the January 24, 2011 Commission meeting to review the proposed policy statement on nuclear safety culture. In the context of her advocacy for regulations in addition to a policy statement, attorney Billie Garde stated she “hoped” that proceeding with just a policy statement was the right decision. We thought her warning of the fallout from a possible future nuclear event would get some attention. It did, at least with Commissioner Svinicki who sought some clarification of Garde’s concern. Just prior to this clip, Svinicki had observed that in her mind a policy statement can’t supplant an appropriate regulatory framework in terms of compelling certain behaviors. No matter what you think about the appropriateness of a policy statement versus other regulatory actions, Garde is certainly correct that the question will be asked in the future: Did the NRC do enough? 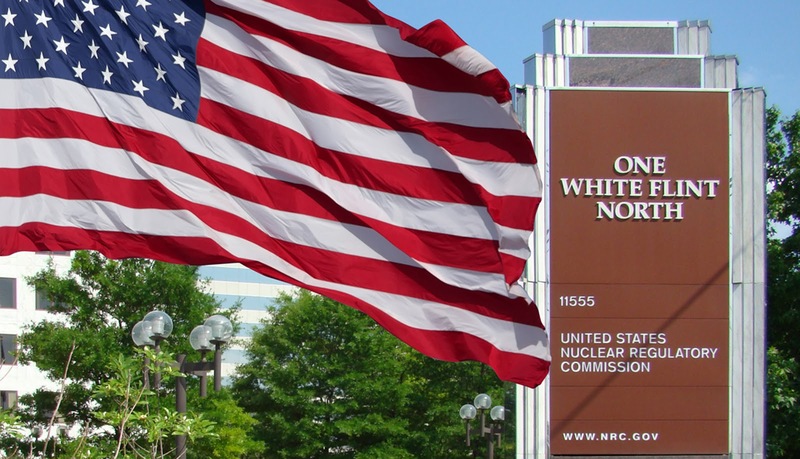 On January 24, 2011 the NRC Commissioners met to review the proposed policy statement on nuclear safety culture developed by the NRC staff. This most recent effort was chartered by the Commission more than 3 years ago and represents the next step in the process to publish the proposed statement for public comment. “25 years is long enough to build a policy statement…” for nuclear safety culture. This observation by Billie Garde* in her opening remarks to the Commissioners, with her timeline referring to the Chernobyl and space shuttle Challenger accidents in 1986. She also emphasized that the need was to now focus on implementation of the policy statement. She maintained her position that a policy statement alone would not be sufficient and that regulation would be necessary to assure consistent and reliable implementation. Here’s the video clip with the exchange between Garde and Commissioner Apostolakis. We will be following up with additional posts with highlights from the Commission session. * Billie Garde is an attorney in Washington, D.C. Her NRC website bio is here.